With the 1999 release of The Power of Now, a The New York Times No. 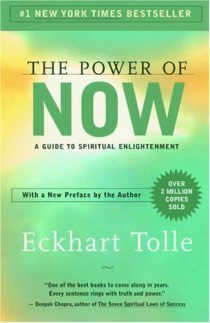 1 bestselling book about the spiritual power of living in the moment, Eckhart Tolle became one of the most popular and influential authors in the mind/body/spirit marketplace, and that popularity has only grown. The Power of Now has been translated into more than 30 languages and sold millions of copies. Eckhart’s work is now available in online media, books, and CD and DVD recordings. Even as the core teaching, or truth, remains the same, Eckhart says he sometimes hits upon new pointers to help people discover it. 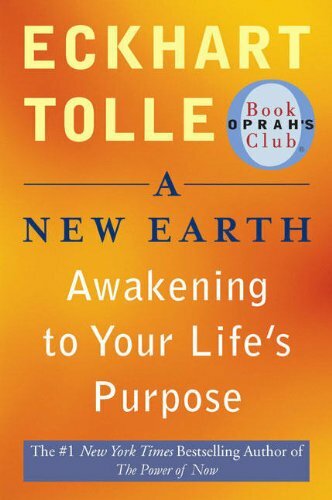 In exactly this way, A New Earth: Awakening to Your Life’s Purpose, Tolle’s second major release that was newly available when this interview took place, offers practical coaching and simple tools for accessing the teaching. Still, Eckhart, a unique spiritual thinker with a unique approach to promoting his work, wrote on his website, “If The Power of Now worked for you and changed your life, there is no need for you to read A New Earth.” This statement demonstrates a basic thing to know about Eckhart: His teaching genuinely comes first, well before ego-based considerations like book sales. I interviewed Eckhart in December 2005 at the home office of Namasté Publishing, his Canadian publisher, in Vancouver, British Columbia. We were joined by my good friend Jessica Snow. It quickly became clear our conversation would not be standard interview fare. Eckhart was not going to just talk about his teaching. Instead, he engaged in a teaching. The sense of presence around Eckhart was something I’ll never forget. He exudes stillness and ease. He models his teaching with complete authenticity. I literally felt the presence of a holy man. 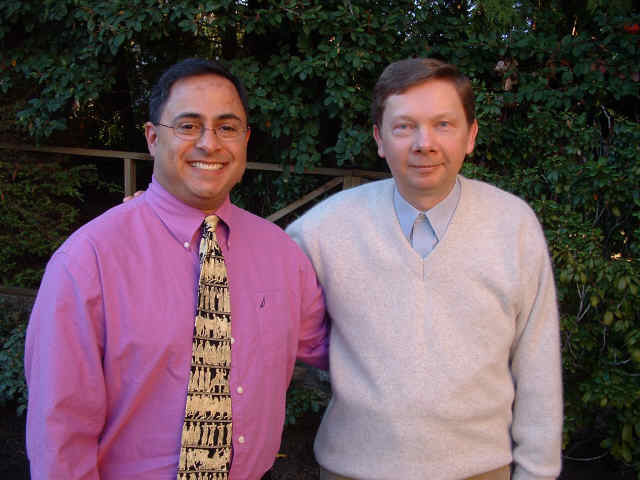 You can learn more about Eckhart at his site https://www.eckharttolle.com. Ray Hemachandra: Eckhart, the idea of enthusiasm plays a vitally important role in your work and approach to life. Why? Eckhart Tolle: There are three ways of awakened doing. If you are not in any one of these three modalities — the modalities of awakened doing — you are not aligned with life. You are not taking responsibility for the present moment, and you should stop doing what you are doing. One modality is acceptance — to be in inner acceptance of what you have to do. You may not be able to enjoy it. Your car breaks down in the middle of the night. It’s raining. It’s cold. And you have to change the tire of your car. You cannot really enjoy that it is cold and wet, but you can bring acceptance to it. Peace flows into it. It is much more likely, by the way, that help comes in when what you are doing is done while you are in a state of inner peace, rather than resistance. It is much more likely another car will suddenly come and someone will offer help. It works like that. The second modality is enjoyment. You are one with the present moment, and you enjoy even relatively insignificant or routine things. You enjoy waiting at a traffic light. You can feel the energy in your body as you sit there. You enjoy looking at a tree. The branches are moving in the wind while you sit there at the traffic light, and the clouds are passing. It’s enjoyable. You enjoy the simple things: dusting the table, preparing a cup of tea. You still can be present even as you do routine things. Enthusiasm, the third modality of awakened doing, is when the universe creates through you. You are involved in a creative act. You are bringing something new into this world. When that energy comes in, you feel an intense aliveness that flows into what you do. That is enthusiasm. Enthusiasm cannot be a continuous state. It comes in waves. Whenever you are engaged in something and there is an outpouring of energy, you are in enthusiasm. Enthusiasm is intensified enjoyment of what you are doing. You have a goal. You know where you are going. The goal has its importance. But the doing is what is truly fulfilling. Every enthusiastic person has a goal that may be important, but the doing is intensely fulfilling, and it is the essence of enthusiasm. Hemachandra: Let’s talk about the goal. If awareness means recognizing being conscious as our inner purpose and living accordingly, does awareness encourage passivity by making specific life goals irrelevant at the most important level? 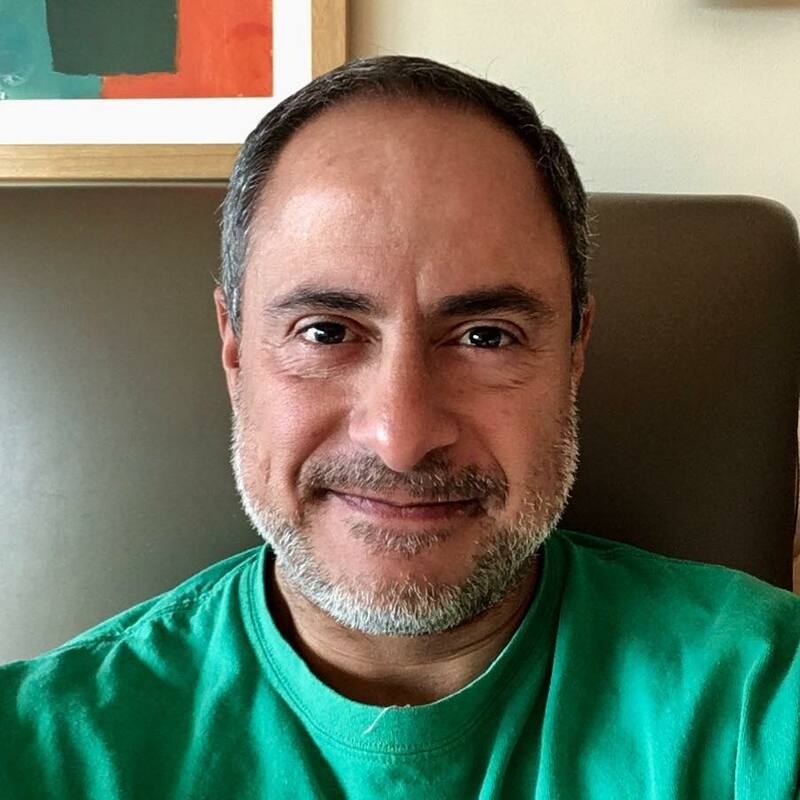 I do not put much emphasis on periods of meditation — if you do meditation, it’s fine — but the important thing is to bring the awareness into everyday life, into every little action that you do, into the varied challenges of everyday life. So, you do not have one compartment in your life that’s spiritual here, and then the rest of your life is over there. One way to become aware many times during the day is to take a conscious breath. Doing so breaks the stream of thinking. A different level of consciousness comes in. Try a conscious breath, a conscious action, walking consciously across the room, opening the door consciously, putting something in your mouth consciously — but not as a means to an end — or taking a sip of water consciously. For most people on the planet, consciousness can be equated with thought. They haven’t experienced what it means to be conscious without thought, or they have only for very brief instants. You simply have to surrender to the present moment. Be alert. Watch something in a state of alertness. Always, continuously, bring that into everyday life, not spirituality here and getting on with your life there. Hemachandra: Eckhart, can we clarify by fleshing out a specific example? How do you write books and make the goal of a completed book come to pass? When, for example, A New Earth was published, how did you create that manifestation and take that action in the physical world? Tolle: Yes, that’s a good example of what I am saying. A New Earth did not come about because I wanted to write another book. Since The Power of Now first was published in 1999, I have given many, many talks and retreats. During the course of those years, the teaching took on a slightly different form. In the world of form, everything changes and evolves. So, there was a certain evolution of the teaching. Different pointers came in, different stories, different approaches to the truth, which always is the same. It was suggested to me that a new book could reflect the evolution of the teaching — the new form that the teaching had taken. So, people created transcripts of my talks. The original idea was to give me the already-edited transcripts of many talks, and I simply would edit them a bit more and choose what would be part of a new book that reflected the evolving teaching. When I saw the transcripts, they were fine. But instead of saying, “OK, let’s use that,” I found myself writing again. So, instead of using the transcripts, it became a totally new book — without any prior intention of “I’m going to write another book.” The writing just suddenly started. Mostly the transcripts were not used. The writing still reflects the evolving teaching, but it came out of the moment of sitting there. Significant things often happen when you are present. Things come to you, and then you respond to what is required. The response very often comes without a premeditated idea of what you want. It is simply a response to the situation. Hemachandra: What changes for people in their day-to-day lives when they begin to live in the now? Tolle: I have spoken to many people who have begun to live in presence, and they find many changes come into their lives. Sometimes these changes happen as inner realizations — “This is what I have to do” — or they arise from the external when something suddenly happens. A person comes into your life. A situation comes in, or a situation finishes for you. You lose your job and then later realize, “I had to lose it to make room for something new to arise.” Or, you meet somebody who brings a sudden opportunity, in one form or another, and you simply respond to it. In some cases, people do little things they enjoy doing. Suddenly an enormous energy flows into what they do, so it grows, and change comes in that way. In whatever way change comes, the important thing is to take responsibility for this moment. Then, life becomes cooperative. When you are aligned with the now internally, when you take responsibility for this moment, then life is helpful and tends to bring you what you need. If you are not in alignment with the moment, life is a struggle. Really, all you have to do is take responsibility for your inner alignment with now. Everything else — the very intelligence of the universe — then flows through you and brings into your life whatever is needed. Hemachandra: In modern times, people often are given medications to calm and quiet their racing minds. The medications almost force people into the present moment, albeit a dulled present moment. I wonder what the impact of such medicine is on the spiritual dimension of people’s lives. Is it positive or negative, do you think? Tolle: It is not positive on the whole, Ray. In certain extreme cases, medication may be necessary. But it is given far too often, too easily, and too readily. Millions of children already are on tranquilizers, for example, and that is absurd. I wouldn’t recommend anyone go off medication immediately if they have been on it for a long time. But I would suggest seeking out a conscious doctor — not a doctor totally into prescribing drugs but rather one willing to help people become more conscious through their suffering. Are you ready to put up with some suffering and use it in your life, rather than wanting to shut it away? Even if you shut it away, it does not go away. It is just behind a closed door. You need to learn to be with the suffering that inevitably arises in your life. You need to be there as the conscious witness of the emotions that come and the thoughts that come. The most decisive event in your life — as in everyone’s life — is when you discover you are not your thoughts or emotions. Instead, you can be present as the awareness behind the thoughts and emotions. A self — a me — exists in every thought and every emotion. Suffering arises through complete identification with thinking and emotions. Sometimes people need to experience acute suffering before the thinking and the awareness of the consciousness separate. People then realize there is another dimension in them that is not thinking but the ability to be aware of thinking. It is not emotion but the ability to be aware of emotion. We can call that presence. We can call that awareness. We can call that pure, awakened consciousness. I sometimes call it being the space, rather than being what happens in the space. So, you are not what happens in your life. You are the space in which it happens, which is consciousness itself. That is the essence of who you are. That is one way of putting it, and that is helpful for some people. Hemachandra: Would you help people get at the understanding by expressing the same truth in a different way? Tolle: Of course. Most people equate the now, the present moment, with what happens in the now. They think there are many different moments, thousands of moments every day, because different things are happening every day, one thing after another. Thoughts, external things, and internal things happen. But those things really are not what the present moment is. Life always is now, but the form the now takes changes continuously. Most people equate the form the now takes with the now itself, and so they believe there are many different moments. If you look more deeply, though, you realize there only ever is this moment. It never is not this moment. So, there really are not different moments, because it always is this moment. Only what happens in this moment changes, and that is the form. The formless dimension of life is this moment. This moment is timeless and formless — the eternal itself. You realize that the now can be equated with this space, with consciousness, and it is who you are essentially. The now is the space for everything to happen. You are not what happens in the now. You are the now, which is consciousness. That is why the now is so important. The now is not what happens — that is the surface appearance of the now — the now is the space. It is formless. It is timeless. It always is the same. It cannot change. Life always is now. Life is inseparable from now. So, you discover the deeper dimensions through the simple realization: You are the space. You are the now in the deepest sense. Hemachandra: What are the consequences of this realization, Eckhart? Tolle: You gain a certain detachment from what happens, because you no longer look for yourself in external events, in the things that come to you, the things you want to hang onto, your thoughts that arise, or the emotions that come. You instead are present as the aware space in which these things happen. To be that is true inner peace. There still can be turmoil. An emotion could arise if something happened to your child, for example. You almost certainly would experience an emotion, a turbulence. Yet, you can be in touch with the deeper dimension of space, even underneath the turbulence. The turbulence is contained within the space of acceptance. Hemachandra: Acceptance is a vital part of your teaching, isn’t it? Tolle: Yes. You accept whatever happens in the present moment, the only place where it can happen. Internally, you fully accept what is happening, and what is happening may include an emotion, a stream of anxiety that suddenly comes up within you. If you cannot accept an external event immediately, then some kind of resistance will come up. And there may be some external events you cannot accept at all. But then you still can accept the emotions you feel. They also are the now, part of the form that this moment takes. So, if you bring acceptance, an inner yes, to the form of now, through that acceptance you become the space. Acceptance is the embracing of what happens. Acceptance is a way of getting in touch with the deeper, timeless dimension of aware presence, simply through accepting that this is what is happening or this is what I am feeling or thinking. You work with acceptance on different levels. You work with acceptance of external things. Everything is as it is at any moment. There’s no way of arguing, because you are arguing with reality — the isness of this moment. You can argue with it, but that’s suffering. You are arguing with reality when you argue (RRRIINNGGG!) with what is in the present moment. Now, if you completely identify with that thought (RRRIINNGGG! ), you would experience a minor form of upset, because you would experience a corresponding emotion: “Will someone turn that off? We need quiet space for the interview.” You would be identified with that stream of thinking. But if you accept the phone ringing immediately — that is what is — then it’s peaceful. You understand life is like that: It gives you one challenge after another. Perhaps the mind does not even say anything anymore. It just immediately declares, “That is what is.” That would be the state of complete alignment. Or, the mind may come in and say, “Why is this phone ringing? It shouldn’t be.” OK, then you can observe the thought and accept the thought. You still are free. You are not completely identified with the reaction. Or, it could be a third level of acceptance: The thought already may have produced a minor form of upset. Then you can observe that and say, “Oh, well, there’s an upset,” and you still can accept that. So, there are different levels at which you can accept and be the space, but if you miss all three, then you are completely identified with the reaction, and that is suffering. Our example, of course, is a very minor form of suffering: We are talking, and the phone rings and interrupts us. But, really, minor forms of suffering and major forms of suffering all have the same road. Hemachandra: And learning to deal with the small things trains you to deal with the larger ones. Tolle: Exactly. When you observe yourself reacting to what are minor things in your life, you will find that the mechanism is the same as when major things seem to go wrong in your life and there is upset. By learning to accept the small things immediately as they happen, you can be free of having to react to things at all. You still can respond when action is needed, but you can be free, internally, of events. You then can continue to be in a state of peace even while things are happening that the mind says should not be happening. Freedom comes. After a while, people realize how wonderful it is to live in such a way, and then they actually welcome the challenges that life brings. Every challenge takes you a little deeper and awakens you again and again. Without the challenges, you probably would go to back to sleep. The challenges keep you awake. So, this is the practice: working with whatever life brings in the present moment. Not seeking some enlightened state, but working with what is at hand, here, now. The enlightened state only can be here and now. Hemachandra: So, the practice is not goal-oriented. Tolle: Correct. You are not seeking to attain some future state. That is the fallacy of many spiritual seekers. They have an image of some state — enlightenment, or whatever they call it — they want to achieve. But it does not work like that. The future is only a thought form. Work with the present moment. Be with what is. The difference between you, if you consider yourself not enlightened, and an enlightened master is not that the enlightened master has more knowledge. University professors have knowledge, and many enlightened masters have very little knowledge. Jesus probably had less knowledge than any university professor alive today in terms of raw information. Even a relatively uneducated person has more information than Jesus or Buddha ever had about things, such as political things and so on. So, what is the difference? The enlightened master simply is one with life, with what is, which is the now. That is the only difference. It is so simple! Some people say it is hard to live in such a way, being completely one with the present moment. Of course, it is not hard. The opposite is hard. Not being one with life is hard, and that is how most people live. Being one with the now actually is the easy way. But the habit patterns of the human mind are very strong and make it seem that the hard way is easy and the easy way is hard. Hemachandra: You have declared the ultimate purpose of your company, Eckhart Teachings Inc., to be “union with the Divine.” That strikes me as the boldest vision statement I ever have heard. What does that vision — the idea of literally being one — mean functionally for a business or an organization? Tolle: It means whatever you do in your business comes out of a state of inner alignment with life and the source of life itself, so peace flows into whatever you do. It does not necessarily change what you do, although you also may change that, but it changes the energy that flows into what you do. It comes from an inner state of peace. Rather than wanting or needing to change something so you can be at peace at some point in the future, you already are in a state of peace. You already are aligned with life. That is the foundation for whatever you do. Hemachandra: How practical is the practice? For example, is making money at odds with an enlightened mode of being? Tolle: If the main purpose of what you do is making money, then of course, yes. You are using what you do as a means to an end, which is not the awake way of living. The end could be money, power, or some kind of mental image of what life should be — like, for example, the revolutionary and the terrorist have some image of what they want to achieve. The present moment becomes a means toward an end. When you see the present moment itself and whatever you do in the present moment as means toward an end, that is unenlightened thinking and action. It creates further suffering no matter what the end is. The energy that flows into what you do is not aligned with life, because you are not aligned with life. You are coming from egoic consciousness. Money is a good example. An enlightened person or business is not concerned primarily with making money, because when you are concerned with making money you want the future more than the present. Whenever you want the future more than you want the present, true intelligence cannot flow into what you do, because it can do so only when you are totally aligned with the present moment. So, instead, what you do is ego, or it comes from ego. Of course, when you take action, there always is a purpose, which is in the future. Whatever you do in your daily life — driving from here to there, trying to reach someone on the phone, doing this or that — you always are going toward somewhere. That’s inevitable. But the question is: Is that purpose in the future more important to you than what you are doing in the present? If it is, then it is a form of ego. The ego always looks toward the next moment for some kind of fulfillment. The realignment means the primary purpose of your life is whatever action you are doing in this moment. The primary purpose of life is to be fully in whatever you are doing. If you are trying to get from here to there, and you already are late, you know that you are late, and yet you are aligned with the present moment while you are stuck in a traffic jam. You are totally accepting of the moment. Let’s say you have to catch a plane, and you are packing your suitcase and moving fast. Most people would call that stress. Most people live stressed like that all the time. Next time you have some kind of deadline, and you have to take physical action — getting ready, meeting the deadline — investigate and see: Is it possible to be so present in what you are doing that the future moment is not primary, but the quality of how you do what you do in the present moment is primary? That means doing it consciously. That means enjoying the doing itself. Yes, you have to get to the airport. But you enjoy the high flow of energy at this moment, while you are picking things up, putting them in your suitcase, and looking at what you need. Even running to catch a train or a taxi, you can enjoy the high energy of the moment. People are amazed to realize they can enjoy the moment rather than be stressed by it when hurrying to an appointment. You can enjoy the energy movement of the moment when you do not have a mental projection of a future moment you need to get to. You still know that you need to get there, but it is the secondary consideration. If you enjoy it, you cannot be stressed! You still can move fast. Stress means there is something wrong, and you are not aligned with life. Of course, most of the people in this world are stressed, and most of those who are not stressed are totally bored! So, you have two extremes: Some people are stuck in tedious things, like their jobs, and they are bored. Other people experience one stressful thing after another. Probably, if you are successful in this world you are stressed, and if you are a failure, you are bored! (Eckhart laughs.) They both are ways of not being aligned. Hemachandra: Why is stress so common, and what are the consequences of people living stress-based lives? Tolle: The whole world accepts that being stressed is the normal way to live. In fact, people think you have to be stressed to be successful. They think if you are not stressed, something is wrong with you. Stress is a form of suffering, but it is accepted as normal. And it is normal in our world. But it is not natural. Hemachandra: When people realize they are stressed, what is the best response? Tolle: First, you can be very much aware that when you are stressed, it always is a sign you have lost the present moment. So, you can choose to re-enter the present moment. Even in a moment of stress, you can say, “OK, can I enjoy the doing itself? Can I enjoy the flow of energy of this moment?” And of course you can! Hemachandra: How do you begin to align yourself? Tolle: Work to recognize the primary importance of the present moment. A good little pointer toward that is to ask yourself, “What is my relationship with the present moment? How am I relating to it?” These are temporary questions, because the deepest truth is you and the present moment are one at the deepest level. When you always want the next thing, every human being becomes a means to an end. Even when people deal with their children: “Have you done this? Come on, do this, you must get this done.” If you go into some households, their whole lives consist of, “What’s the next thing we have to do? Come on, let’s go.” That is not the way to live. Hemachandra: So, living in the now improves the quality of all human relationships. Tolle: Yes, of course. For example, if you are a businessperson, you meet customers in your business. Are they means to an end? If the present only is a means to an end, the people you are meeting also become part of that, because you want something from them. You want the business. You want the information they are going to give you. You want their money. Whatever you want, they become means to an end. If you honor that moment, you also honor that human being, because it is in that moment the human being appears in front of you. So, honoring the moment is honoring every human being you meet. The only place where you can meet them is in the moment. And that brings a totally different quality into human interactions. You enjoy the present moment. You enjoy the other person’s presence. The other person’s presence ultimately is the same as your presence, because it is in presence that there is true meeting. Hemachandra: Would you give an example of such a person in the business world from your own experience? Tolle: When I bought a car some years ago, the salesman totally was in a place of joy. I could see he didn’t care whether I bought the car or not. He was enjoying showing me the car and taking me for a test drive. And it was for me to finally say to him, “Yes, I’m taking your car.” But I know very well if I had said, “I don’t think I’ll take it,” he would have remained just the same. And, perhaps, three years from now if I buy another car, I will go back to him and buy. Let’s say you also are going to buy a car. If the salesman sees you as a means to an end, then if you don’t buy his car after he talks to you for an hour, shows you cars, and goes for test drives, he is going to be upset. So, all he ever wanted from you was for you to pay your money and buy that car. He was not interested in you as a human being. He was not interested in the present moment. He was interested in the future moment. Everything flows with much greater ease when people live as one with the present moment. Then, you are one with every human being you meet, and that’s the only way the world really can change. Hemachandra: So, are there global implications for such a shift? Tolle: The world is in such a mess because of the continuous conflict that arises between human beings — not only between individuals but between tribes and nations and this group and that group and so on. But change can come in only when people start with themselves. Hemachandra: That brings me to two questions — one on the collective level and one on the individual level — that seem to tie together now. You have written that human beings had to develop a state of insanity, or madness, as a collective, to then be able, evolutionarily, to transform and awaken. That parallels what seems to happen on the individual level, doesn’t it? As a child, a person builds up an egoic sense — the child has a name, has an “I,” has a mind. But then, to awaken, a person needs to completely transcend that sense of ego. Tolle: On an individual level, you can see how the ego develops even in a small child. For example, when one child says to another, “I can do this, I bet you can’t”; “My dad has a bigger car than yours”; or, “My dad is stronger than yours.” Children identify with this or that, trying to build up a sense of self — a mentally defined sense of self. When humans reach their early 20s or mid 20s, they sometimes quickly will go beyond ego. Ego is an immature stage of development for humans, and that’s what it will be recognized as when the consciousness changes on the planet. Children will develop an ego and quickly outgrow it. That’s very different from developing an ego and being stuck with it for the rest of your life! Tolle: On the collective level, was what has happened necessary? Yes, because it happened. It happened, so it was part of the larger totality of what is. Humanity had to go through it. It started with the arising of the ability to think, which I believe is described in the beginning of the Bible as the fall. It is the telling of good and evil. Suddenly, you can differentiate mentally, “This is good, and this is bad.” Humans eat of the tree of the knowledge of good and bad. Suddenly, they start cutting reality up into bits and pieces, which is what the thinking mind does. Hemachandra: Why is now the time for humanity to escape the trap? Tolle: We are in the final stages of egoic madness. Almost the whole world is fighting each other. We witnessed the final stages of egoic madness in the 20th century, and even now it still is playing itself out. It has not quite come to an end yet. Humanity had to go through egoic madness, it seems, and then outgrow it. Hemachandra: Do you see the awakening happening equally around the globe, or does it vary globally? Tolle: It varies enormously. Some groups and individuals still are immersed totally in the egoic consciousness. Others already are free or in the process of stepping out of ego. The arising of the new consciousness already has started for many people. They are not yet recognizable as groups, but they are here and there. Hemachandra: In your book A New Earth, you write, “Evolve or die.” What makes this time in human history so fertile and foreboding? Tolle: With the egoic consciousness having become so dysfunctional, and now having at our disposal all these enormous technologies and scientific advances, if nothing changes the ego will use those things — as it already has been doing — and will amplify the technology that we now have. The scientific advances, to a large extent, will be used in the service of the ego, and they will become more and more destructive. Hemachandra: You are a German and lived your first formative 13 or so years in Germany. Germany, of course, perpetrated one of history’s most terrible acts of egoic madness: the Holocaust. How has that impacted the evolution of the German nation and people? Tolle: Germany is a nation that created an enormous amount of suffering on the planet. The German people also themselves have suffered, because it always goes together. The more suffering you create, the more suffering comes to you. In the 1950s, most Americans were very conformist. Then, in the ’60s, something happened: a disidentification. Now, we may have another stage, because in some ways Iraq was a repetition of the same kind of thing that happened in Vietnam. Again, many people were seeing the madness of it clearly, and there was a further disidentification. Hemachandra: Eckhart, how can groups come to reflect enlightened consciousness without ego? By definition a group is brought together by a sense of identity and therefore by a shared egoic understanding and agreement. Tolle: Enlightened groups can exist, as long as the individuals’ sense of identity is not derived from a mentally defined image of us. Every individual is in touch with the deeper level of being, the aware consciousness. If these humans form groups, they do not derive their sense of self from the group, which does not mean there cannot be a sense of being part of this group. But the group itself does not become an egoic entity. But there can be other associations — enlightened businesses, for example — that do not work on the basis of us against them or wanting profit as the main motivating force behind what they do. So, yes, there can be enlightened groups of people. They enjoy being together, and they form a kind of collective entity, but not an egoic collective entity. The group does not need enemies. Hemachandra: In A New Earth, you write that some religions may have generated originally from an awakened consciousness, and then the egoic part creeped in. Tolle: Yes, that can happen. Hemachandra: I wonder for individuals, then: When you awaken, does the ego always lie in the background, ready to creep back in unless you maintain your awareness? In your own life, Eckhart — in your personal partnership, business relationships, or daily interactions — does the ego sometimes rise up a bit? Tolle: The ego potentially always can be there, because it is no more than a collective mind pattern. I have seen cases where people seemed to become totally free of ego, and at some point in their lives the ego came back. It has happened, for example, to some spiritual teachers. At some point in their lives, they began to identify again with form. Hemachandra: How do you explain that to someone convincingly? Hemachandra: Part of what people buy into is the idea of teacher and student, of the definition of roles and identities. We all wait impatiently for the spiritual maestro’s next book or appearance. Tolle: That’s right, yes. If it happens, OK, but certainly, for me, there is no intention of continuing to produce books. There was no intention of writing a second book. Various kinds of things came in, and it happened by itself. But doing more books would be pointless, because now so many pointers already are out there! Hemachandra: Eckhart, we began by talking about enthusiasm, and I would like to close in the same way. What are you enthusiastic about these days? Tolle: This. The arising new consciousness — that is all I am enthusiastic about. That’s where my enthusiasm lies. When the accounting comes, the accountant says, “You haven’t done these invoices. You need to do these invoices. We’re waiting.” I have to accept that now I have to look for this invoice or that one. I don’t enjoy it. But most things I actually enjoy. I enjoy going to Starbucks, having a cup of coffee, sitting in my car, driving from here to there, sitting at home looking at the trees, going for a walk with a dog. It’s all very enjoyable. And the enthusiasm I have now, when the teaching comes. That is my enthusiasm. I have read both of Eckhart’s books and I’m a subscriber to his educational site, but this interview presented the ideas around presence and ego in a way that finally sunk in. There were some key ideas in this interview that allowed me to understand things in a completely new way. I am grateful for your interview and hope that the contents of its unique presentation, of Eckhart’s teachings, makes its way out to many people who may be struggling to truly grasp its meaning.